If you want to get out into nature—but not too into nature– a new luxury retreat will let you camp out under the stars without leaving the city. Thanks to Collective Retreats, the first-ever seasonal overnight accommodation on the historic Governors Island will open up this summer. Travelers can get to the island by taking a free ferry that runs from Lower Manhattan. 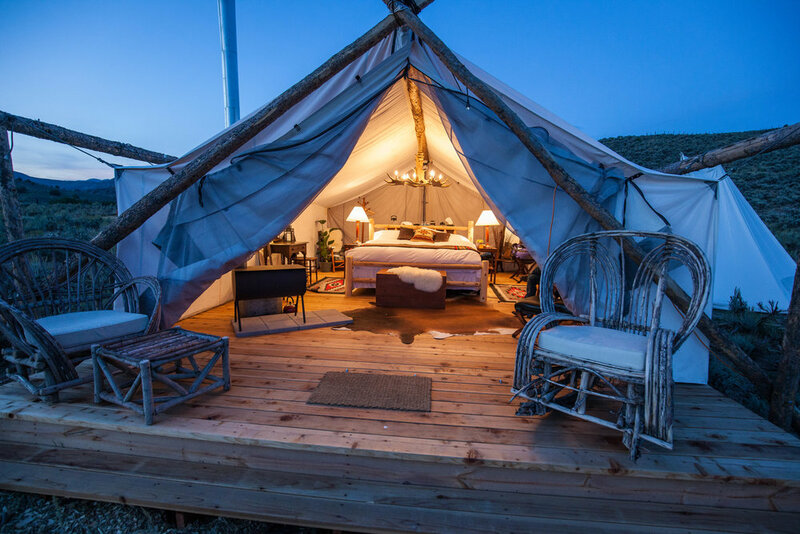 Collective Retreats, known for its chic, high-end glamping tents, has properties in rural locations including Hudson Valley, Montana, and Texas Hill Country. Such a cool concept! The hotel will operate seasonally from May to October, and accommodate about 100 overnight guests. It will also be available for weddings and corporate events. It will be on Governor’s Island’s western side and feature three styles of accommodations: standard luxury tents with king-size beds and private bathrooms; premium bell tents with queen-size beds and shared bathrooms; and suites housed in an innovative, container-style unit. There will also be a special dedicated deck for yoga, performances, and music, as well as food and beverage offerings, including food trucks. A bit of history: Currently operated by both the National Park Service and an independent trust, Governor’s Island has a unique place in New York City history. Governors Island previously served as a military base and was closed to the public for 200 years. During the colonial era, royal governors lived there. At the end of the 18th century, the island became a post for the United States Army and in later years, a base for the Coast Guard. Many homes were built to accommodate the military population, which at one time numbered 3,500 people. In 1996, the Coast Guard officially left the island, making way for Governors Island new life as a place for the public to visit during the summer months. Since 2012, regeneration efforts have seen the opening of public parks filled with art, a hill covered in slides, fields of hammocks and stunning views of New York Harbor and the Statue of Liberty.